Projects Abroad volunteers have been working alongside archaeologist Zenobio Valencia on the Inca Project in Peru. Recently, they have uncovered a number of indentations which they believe to be a form of Incan rock art-work. 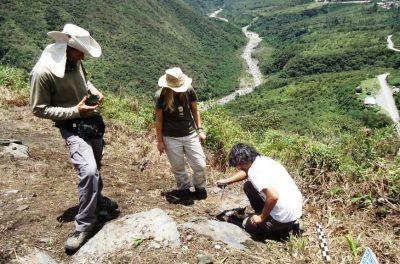 Volunteers have been working on several archaeological sites in the Sacred Valley. Experts have highlighted this excavation as important as it marks sacred places in the landscape and is expected to shed light on the social behavior of the ancient Inca civilization. Gori Echevarria, president of the Peruvian Association of Rock Art, said that this is the first rock pattern associated with later periods of the Incas in Peru. The discovery has made national news all across Peru and is an exciting development in the work on the ancient Inca trail. It is great news that Projects Abroad volunteers can play a vital part in uncovering such a fascinating past.